Okay, I have to start with the most welcome news. 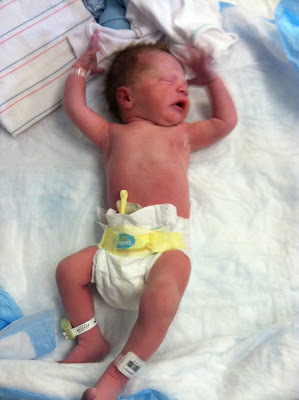 My brother, Lee, just had his second child today, a boy named Keaton Maas! 6 pounds, 13 ounces. I'm very happy to be an uncle to five kids now! I noticed that RTD has won once again! Good work, Roger! I'll have to up my game for next week. He was correct in guessing that this week's Person-of-Mystery was none other than Potato Creek Johnny, who found a 7.75 ounce gold nugget near Deadwood, South Dakota, in 1929. The nugget was famous, but Johnny was rather iconic figure in Deadwood until the 1940s. He was a bit of a local story teller and a colorful character in his own right and very popular with the kids since he was only four feet three inches tall! Prospector in his own right. So, I also got back from Camp-o-ree. Our Scouts did great. They won ribbons in the tomahawk throwing and blindfold tent pitch contests. Everyone had a grand time, but it was like I suspected, no phone service. Hope you all had a wonderful weekend. Tomorrow, I'm off to survey a local cemetery with some of my history students. I'll have to let you know how it goes when I return. Congratulations! I'm no expert on babies but everything seems to be in place. Well I was born in North Dakota and spent 15 years in the S.E corner of Montana, which is not very far from Deadwood SD. NM needs to be a little sneaky like PJM and find a local mystery person. Congratulations on becoming an uncle yet again! Congratulations! Picture reminds me of the birth of my little 6+ pounder many years ago.